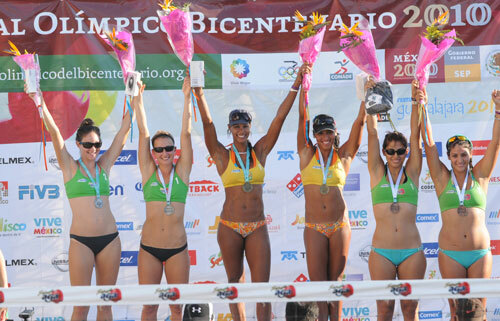 CHIAPAS Mexico, May 16, 2010 � Puerto Ricans Yarleen Santiago and Dariam Acevedo edged resilient Cubans Imara Estevez and Ion Canet 2-1 (19-21, 21-19, 18-16) to win the gold medal in the fifth stop of NORCECA Beach Volleyball at Puerto Arista, Chiapas. CHIAPAS, Mexico, May 15, 2010 � The teams of United States 2 (Stafford Slick/Marcin Jogoda), Mexico 1 (Ulises Ontiveros/ Lombardo Ontiveros), Canada (Samuel Schachter/Cameron Wheelan) and Cuba (Sergio Gonz�lez/Yoendris Kinderlan), made it into the semi finals and confirmed their condition as favourites in the men�s tournament of the fifth leg of NORCECAl Beach Volleyball Circuit being held at Puerto Aristas in Chiapas, Mexico. 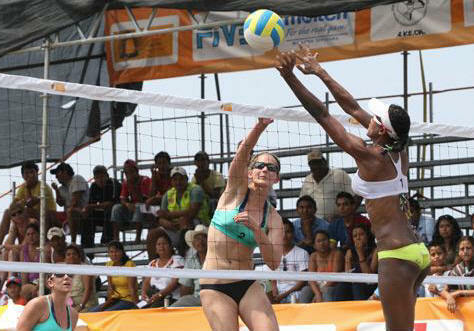 CHIAPAS, Mexico, May 15, 2010 - The fifth stop of NORCECA Beach Volleyball Circuit, being placed at Puerto Arista, is nearing its final and following the second day we have the women pairs qualified to the semi finals. They are: Canada 1 (Jamie Broter/Elizabeth Cordonier), CanadA 2 (Heather Bansley/Elizabeth Maloney), Cuba (Imara Est�vez/Ion Canet) and Puerto Rico (Yarleen Santiago/Dariam Acevedo). CHIAPAS, M�xico, 15 de mayo, 2010 � United States 2 (Stafford Slick/Marcin Jogoda), Mexico 1 (Ulises Ontiveros/ Lombardo Ontiveros), Canada (Samuel Schachter/Cameron Wheelan) and Cuba (Sergio Gonz�lez/Yoendris Kinderlan), are the top contenders for the title. 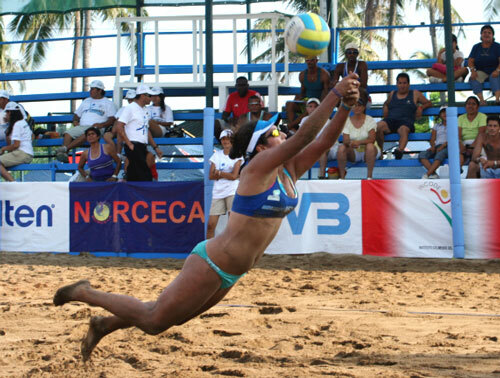 CHIAPAS, Mexico, May 15, 2010 � The Puerto Rican pair of Yarleen Santiago and Dariam Acevedo eliminated Mexicans Marta Revueltas/Vanessa Virgen by defeating the local girls 2-1 (21-9, 21-18) during Day One of the NORCECA Circuit�s fifth leg. 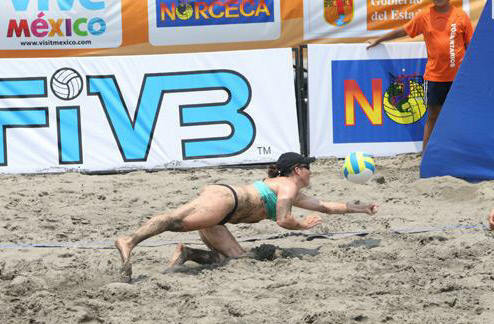 CHIAPAS, Mexico, May 14, 2010 � The sands of Puerto Arista Beach in Chiapas, Mexico, are open for the fifth leg of NORCECA Beach Volleyball Circuit with the participation of 11 pairs in the women�s event and 12 duos in the men�s competition. 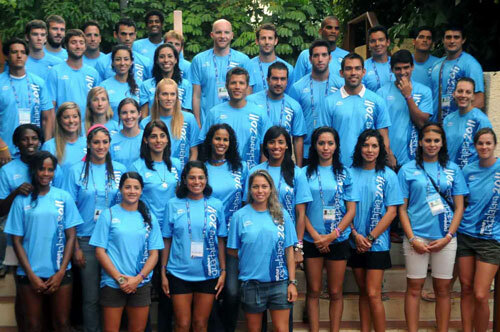 GUATEMALA CITY, Guatemala, April 11, 2010 � Cubans Karell Pe�a and Sergio Gonz�lez claimed the gold medal at the fourth leg of NORCECA Beach Volleyball Circuit. 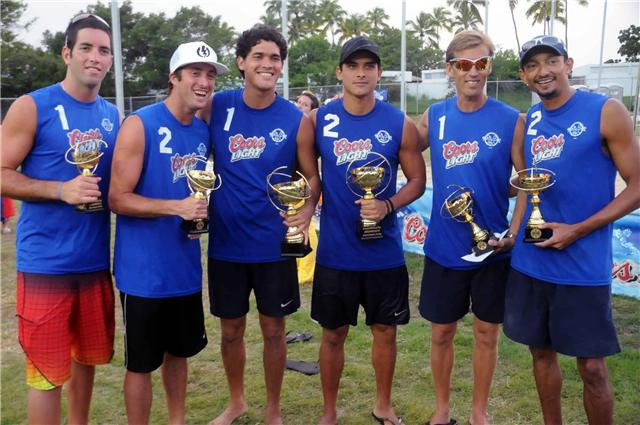 Pe�a and Gonz�lez completely dominated the fourth stop claiming the crown with an unbeaten record. 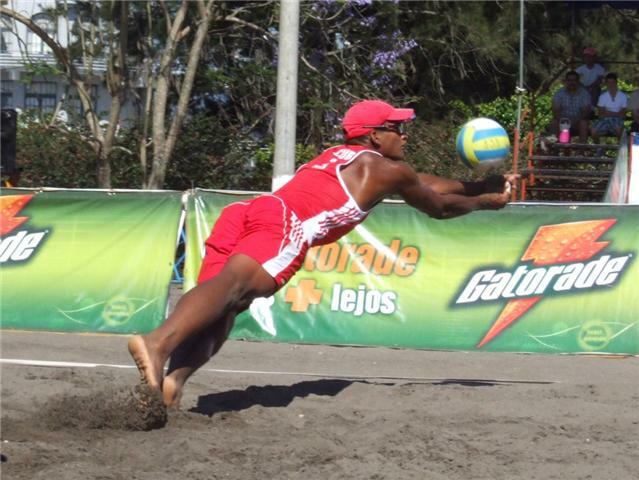 In the final, Jessie Lelliott and Benjamin Saxton of Canad�, the Cubans won by score of 2-0 (21-16, 21-14). 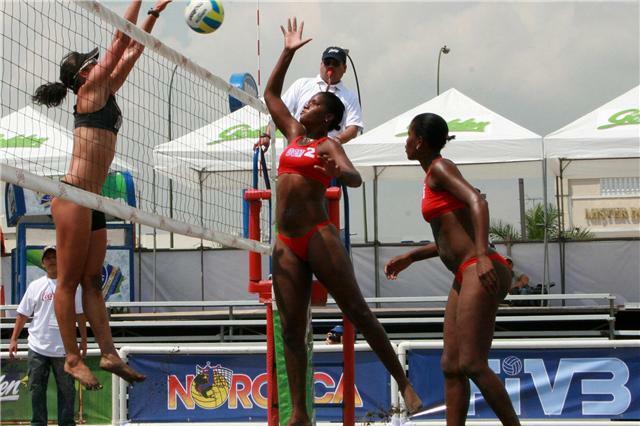 GUATEMALA CITY, Guatemala, April 10, 2010.- Canada and Cuba became the first two semi finalists of the fourth leg of NORCECA Beach Volleyball Circuit. GUATEMALA CITY, Guatemala, April 10, 2010 � Top seeded Nirian Sinal and Kirenia Ballar of Cuba, advanced to the semi final round of the fourth leg of the 2010 NORCECA Beach Volleyball Circuit that concludes at the courts of Campo Marte on Sunday. 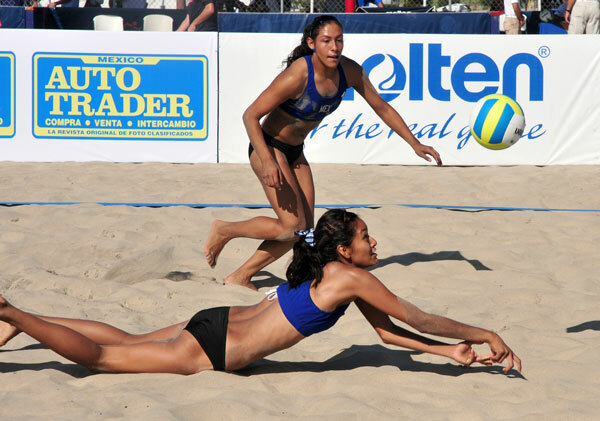 GUATEMALA CITY, Guatemala, April 9, 2010.- Top seeded Cubans Nirian Sinal and Kirenia Ballar, claimed two victories during the first day of action at the fourth stop of NORCECA Beach Volleyball Circuit. Sinal and Ballar downed Shanique Green and Cheryl Daley of Jamaica 2-0 (21-9, 21-10) in 37 minutes and in their second match won easily against Recinos/Lopez 2-0 (21-11, 21-10) of GUA-2. 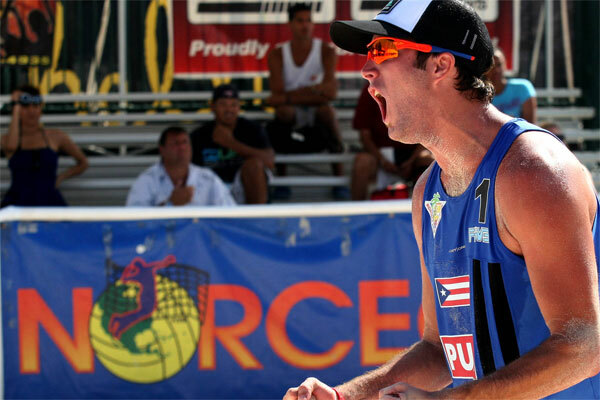 GUATEMALA CITY, Guatemala, April 9, 2010 � Top seeded Michael Bruning and Jason Wight of United States started with the right foot in the fourth stop of NORCECA Circuit. Bruning and Wight dominated their rivals during the matches contested in the opening day of the tour. 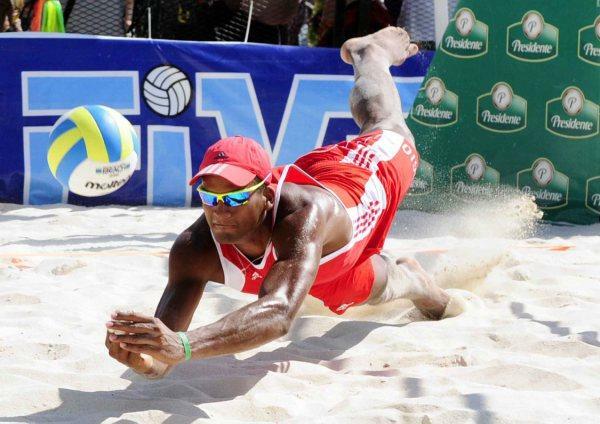 They first met Joseph Clercent and Dayne Williams of Saint Lucia winning in 28 minutes by score of 2-0 (21-11, 21-17). 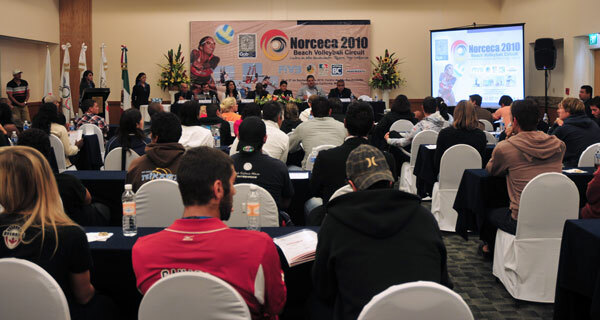 CIUDAD DE GUATEMALA, Guatemala, April 7, 2010 � Delegates from NORCECA, the Volleyball National Federation of Guatemala and the Organizing Committee of the fourth stop of the 2010 NORCECA Beach Volleyball Circuit informed the media about the details of the competition during a press conference held here. 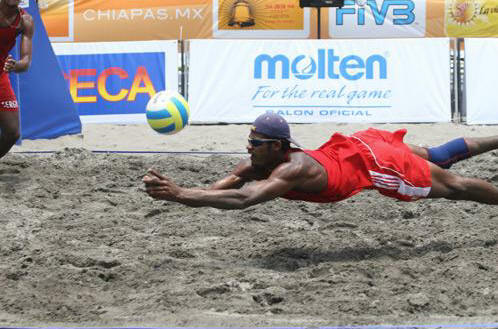 BOCA CHICA, Dominican Republic, April 4, 2010 � Mexicans Aldo Miramontes and Juan Virgen have won the men�s gold medal at Boca Chica Beach Volleyball Tournament, the third stage of 2010 NORCECA Circuit. 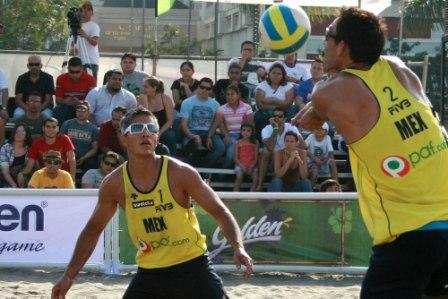 Miramontes and Virgen, winners of the previous stop at El Salvador, defeated Cubans Karell Pi�a and Sergio Gonzalez by score of 2-1 (17-21, 21-15, 15-10). 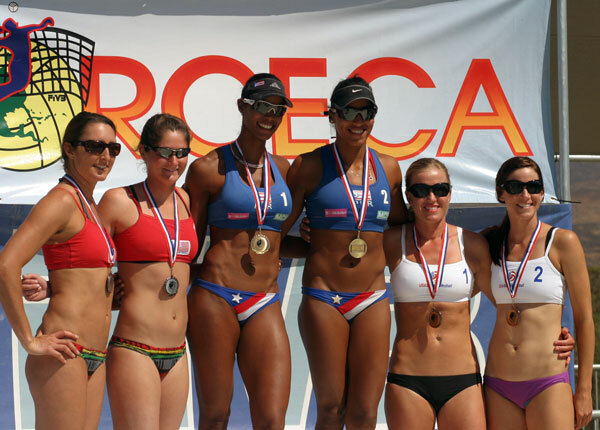 BOCA CHICA, Dominican Republic, April 4, 2010 � Puerto Ricans Yarleen Santiago won the women�s gold medal at Boca Chica Beach Volleyball Tournament, the third stop of 2010 NORCECA Circuit. 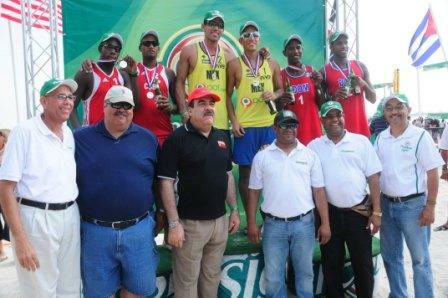 BOCA CHICA, Dominican Republic, April 3, 2010 � Cubans Karell Pi�a and Sergio Gonzalez and Mexicans Aldo Miramontes and Juan Virgen are the first semi finalists of the men�s Boca Chica Beach Volleyball Tournament. BOCA CHICA, Dominican Republic, April 3, 2010 � Cubans Niriam Sinal and Kirenia Ballar and Puerto Ricans Yarleen Santiago and Dariam Acevedo claimed the first two spots in the semi finals of the women�s event of Boca Chica Beach Volleyball Tournament, the third leg of 2010 NORCECA Circuit. 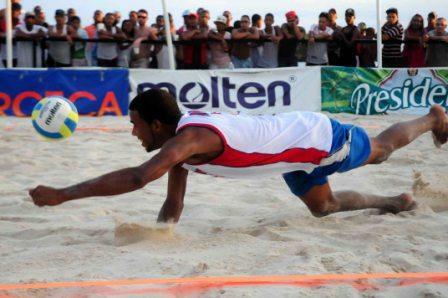 SANTO DOMINGO, Dominican Republic, April 2, 2010 � The teams of Mexico, Cuba and Dominican Republic were the most successful during day one of the Boca men�s Chica Beach Volleyball Tournament, the third stop of 2010 NORCECA Circuit. 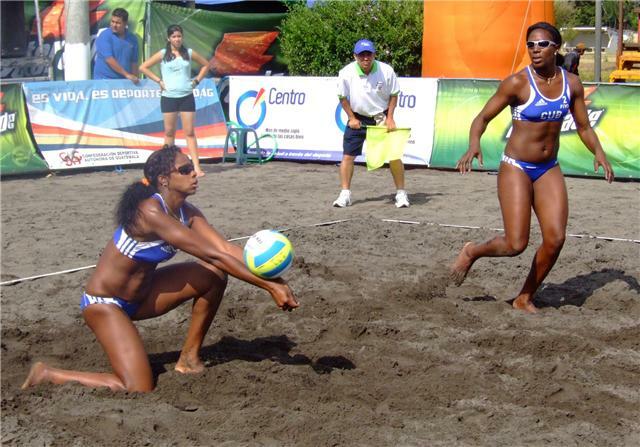 BOCA CHICA, Dominican Republic, April 2, 2010 � Cubans Niriam Sinal and Kirenia Ballar won their two matches on opening day of women�s Boca Chica Beach Volleyball Tournament, the third stop of 2010 NORCECA Circuit. 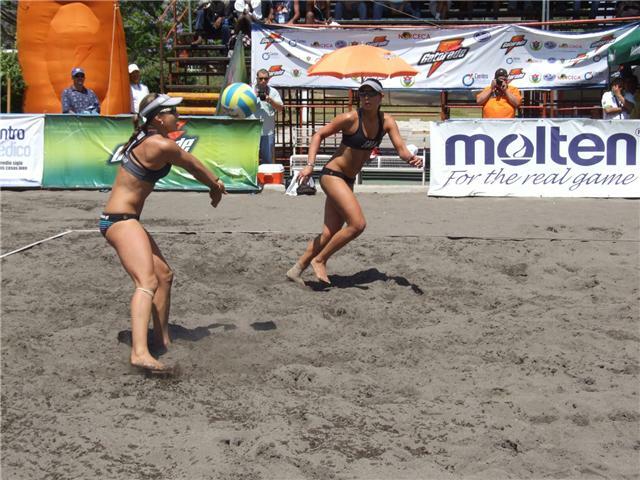 The silver medalists in El Salvador�s stage first edged USA-2 (Cayley Thurlb/Tealle Hunkus) by score of 2-1 (21-18, 12-21, 15-4) and followed with a 2-0 (21-16, 21-17) over Ingrid Morales and Natalia Alfaro of Costa Rica. BOCA CHICA, Dominican Republic, April 1, 2010 � Players of fourteen countries are taking part of the Boca Chica Beach Volleyball Tournament, the third leg of the 2010 NORCECA Circuit. 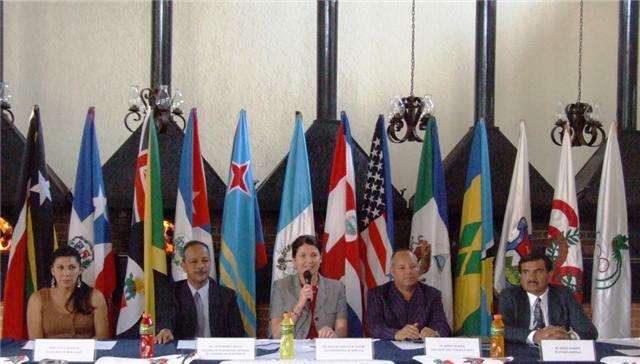 The two previous events successfully organized in Cayman Islands and El Salvador. 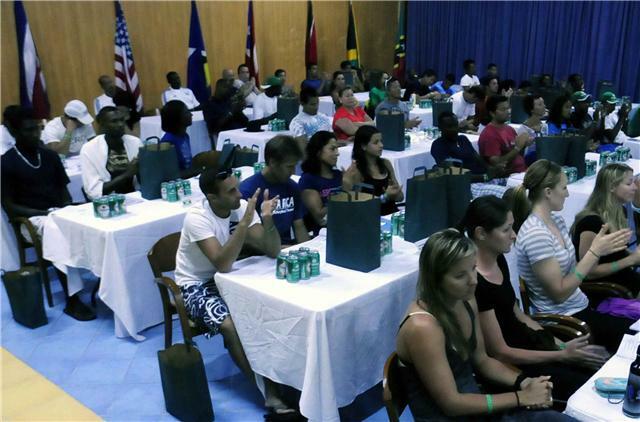 The General Technical Meeting took place Thursday night at Dominican Bay Hotel in the presence of Mr. Cristobal Marte Hoffiz, President of NORCECA. BOCA CHICA, Dominican Republic, March 31, 2010 � The 2010 NORCECA Circuit continues next weekend with the Boca Chica Beach Volleyball Tournament, the third stop of the competition. 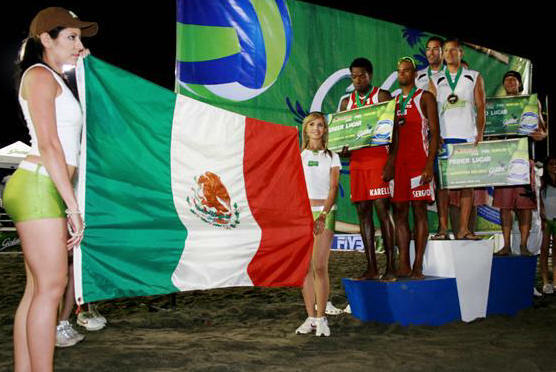 SAN SALVADOR, El Salvador, March 29, 2010 � The Mexican team of Aldo Miramontes and Juan Virgen claimed the crown of the second stop of the 2010 NORCECA Beach Volleyball Circuit at El Salvador. 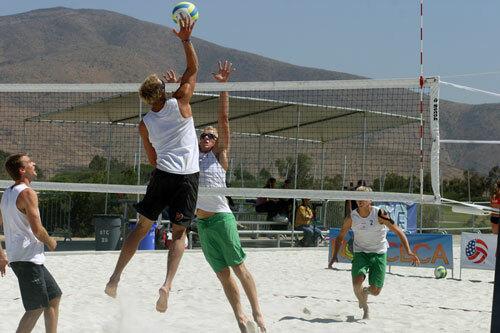 Miramontes/Virgen crushed the USA team of Ty Loomis/Matt Prosser in a lopsided final match by score of 21-13, 21-9. 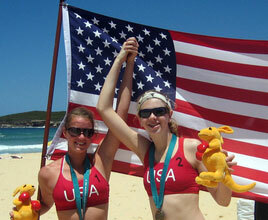 SAN SALVADOR, El Salvador, March 29, 2010 � Americans Claire D�Amore and Jennifer Zinder won the women�s gold medal at El Salvador Beach Volleyball Tournament, the second stop of the 2010 NORCECA Circuit. 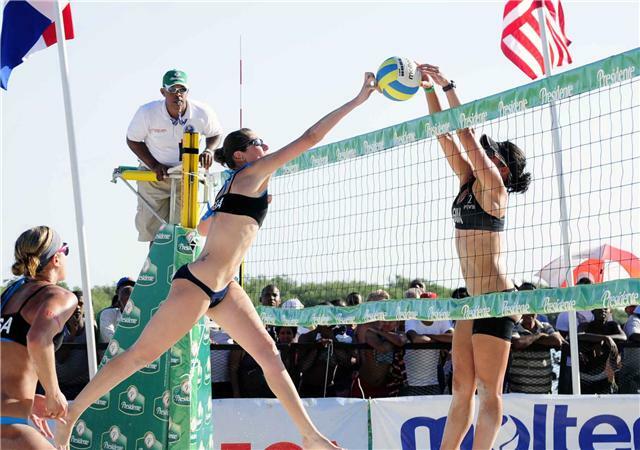 D�Amore and Zinder prevailed against Cubans Niriam Sinal and Kirenia Ballar in a tough battle by score of 21-19, 21-17. 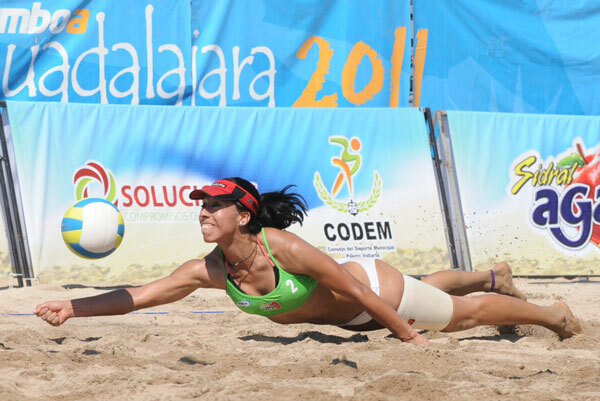 SAN SALVADOR, El Salvador, 28 de marzo, 2010 � The women teams of United States, Puerto Rico, Cuba and Guatemala are the semi finalists of El Salvador Beach Volleyball Tournament, the second stop of 2010 NORCECA Circuit. 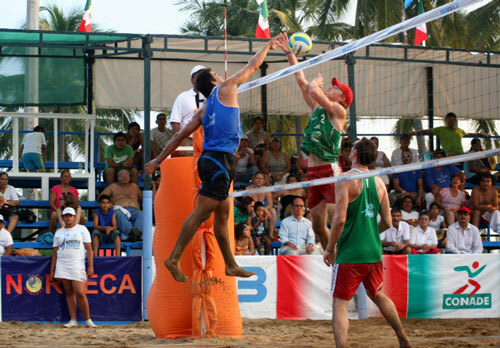 SAN SALVADOR, El Salvador, March 28, 2010 � The men�s pairs of Canada, Mexico, United States and Cuba advanced to the semifinals of El Salvador Beach Volleyball Tournament, the second stop of 2010 NORCECA Beach Volleyball Circuit. Sunday�s semifinales feature Canada against United States and Mexico against Cuba. SAN SALVADOR, El Salvador, March 27, 2010 � The teams of Guatemala (Mar�a Jose Orellana-Lourdes Ramirez), Cuba (Niriam Sinal-Kirenia Ballar) and Puerto Rico (Yarleen Santiago-Dariam Acevedo), started with victories their participation in the second stop of the 2010 NORCECA Beach Volleyball Circuit in El Salvador. 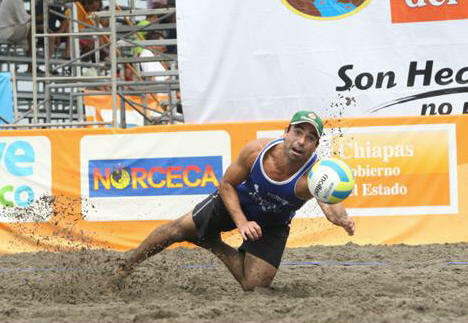 SAN SALVADOR, El Salvador, March 27, 2010 � The men�s teams of M�xico (Aldo Miramontes-Juan Virgen), Canada (Martin Reader-Ray Sewell) and Dominican Republic won their two matches of the opening day at El Salvador Beach Volleyball Tournament, the second stop of the 2010 NORCECA Beach Volleyball Circuit. 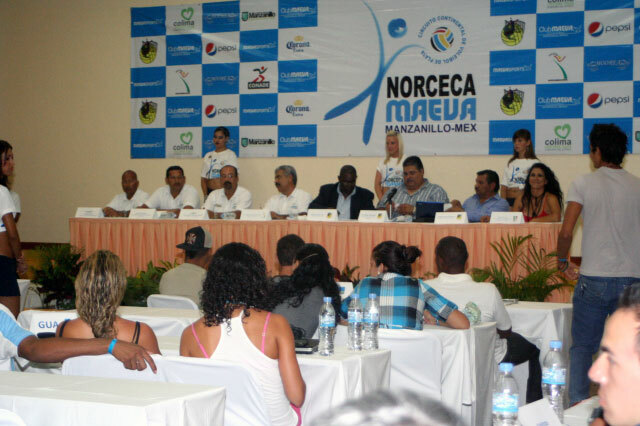 SAN SALVADOR, El Salvador, March 23, 2010 �Fresh from the successful opening stage in Cayman Islands, the 2010 NORCECA Beach Volleyball Circuit now moves to El Salvador the smallest but the most densely populated country in Central America. 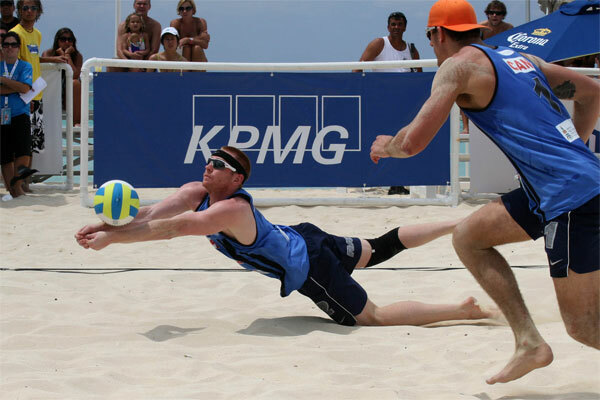 GRAND CAYMAN, Cayman Islands, March 22, 2010 � Canadians Martin Reader and Ray Sewell defeated Puerto Ricans Orlando Irizarry and Joseph Gil 21-17, 18-21, 15-8 claiming the men�s gold medal of the Cayman Islands Beach Volleyball Tournament, the opening leg of the 2010 NORCECA Circuit. 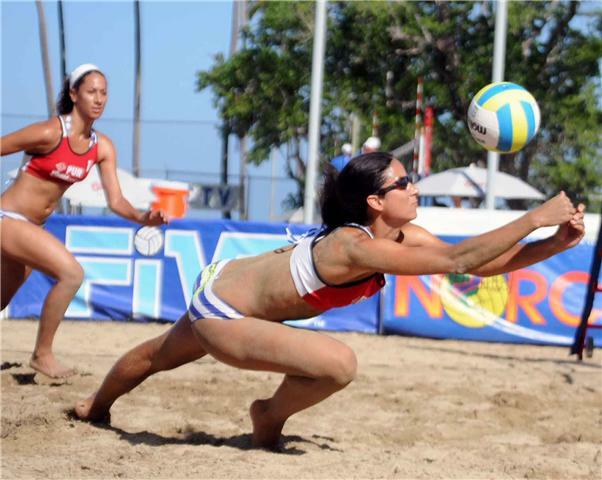 GRAND CAYMAN, Cayman Islands, March 22, 2010 � Puerto Ricans Yarleen Santiago and Dariam Acevedo started where they left off last year by winning the women�s gold medal of the Cayman Islands Beach Volleyball Tournament, the first leg of the 2010 NORCECA Circuit. 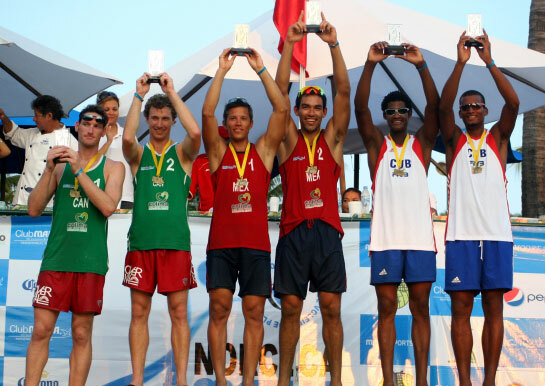 GRAND CAYMAN, Cayman Islands, March 21, 2010 � First ranked team of Orlando Irizarry and Joseph Gil of Puerto Rico and Canadian duo of Martin Reader and Ray Sewell continued their successful run advancing to the semi final round of the Cayman Islands Men�s Beach Volleyball Tournament. 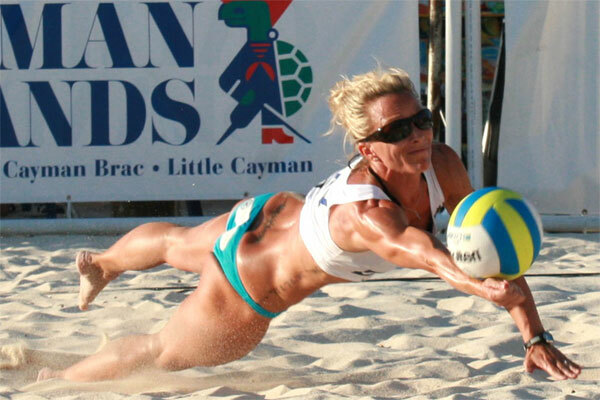 GRAND CAYMAN, Cayman Islands, March 21, 2010 � The women teams of Puerto Rico, United States, Mexico and Canada have advanced to the semi final round of the Cayman Islands Beach Volleyball Tournament, the first leg of the 2010 NORCECA Circuit. 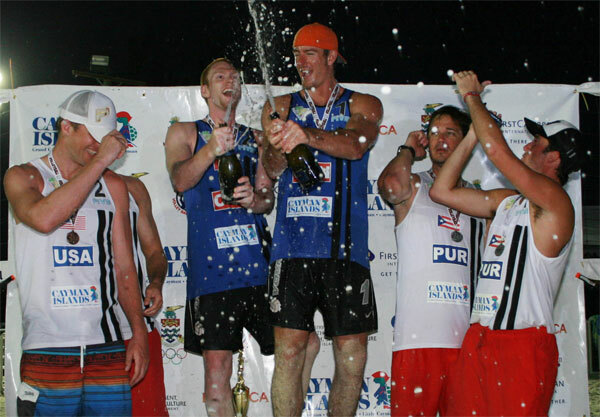 GRAND CAYMAN, Cayman Islands, March 20, 2010 � Jamaicans Mark Lewis and Dany Wilson defeated Andrew Gordon and Duncan Hamann of Cayman Islands-2 and Erick Hadock and Daniel Erazo of Puerto Rico 2 beat Jeovanny Medrano and David Vargas of El Salvador during the opening action of Men�s Cayman Islands Beach Volleyball Tournament. GRAND CAYMAN, Cayman Islands, March 20, 2010 � Brooke Langston and Heather Lowe of USA and Jamie Broder and Kristina Valjas of Canada won their three matchers in Pool B during the first day of action of the Cayman Islands Beach Volleyball Tournament, the first leg of the 2010 NORCECA Beach Volleyball Circuit. 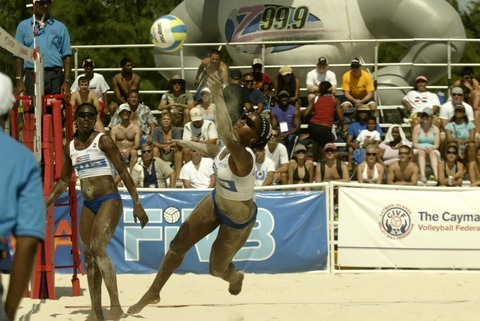 GRAND CAYMAN, Cayman Islands, March 19, 2010 � The first leg of the 2010 NORCECA Circuit kicks off on Friday with 22 matches in both genders at Seven Miles Beach. 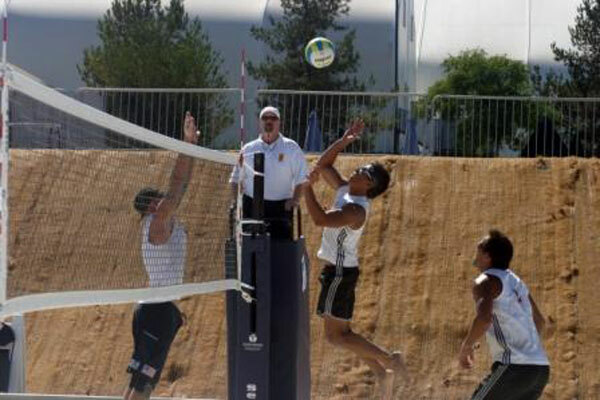 SANTO DOMINGO, Dominican Republic, March 9, 2010 � United States, Canada and Puerto Rico have registered two men�s teams to participate in the first leg of the Beach Volleyball NORCECA Circuit in Cayman Islands on March 18-21. Players from 12 countries will take part in the opening competition of the calendar that includes a confederation�s record of thirteen stops. 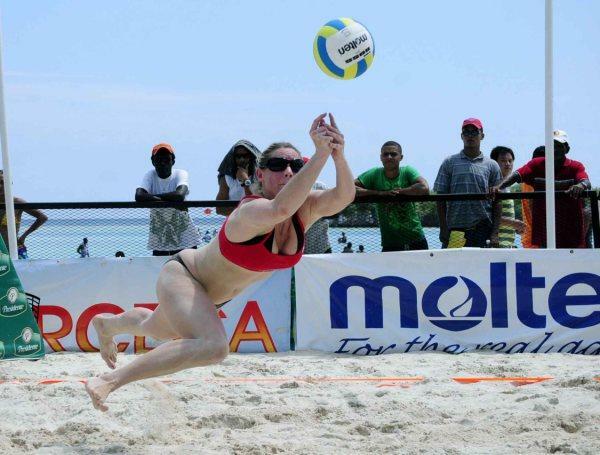 SANTO DOMINGO, Dominican Republic, February 22, 2010 � For second consecutive year the tournament of Cayman Islands will open the action of the NORCECA Beach Volleyball Circuit which will expand to a total of 14 stops this year. 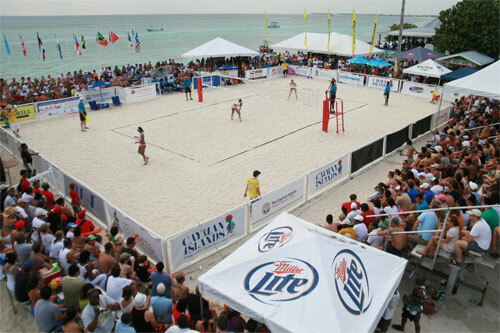 The event will take place in Grand Cayman, the biggest of the islands, on March 17-22.